Multipurpose tyre for all types of 4x4, the Michelin Latitude Cross combines the traction of an off-road tyre and the comfort of a road tyre. Traction. The Michelin Latitude Cross grips well on all surfaces thanks to the aggressive design of the shoulder and the large number of biting edges in the Mud Catcher Tread Design. Comfort. The curved tread block design of the tyre has been specially designed to ensure that the tyre and the road make contact gradually and limit the noise levels. Wear life. The Michelin Latitude Cross tyre can eat up the miles thanks to the Terrain Proof compound, derived from technology used in earthmoving vehicles. This compound provides greater resistance to aggressive surfaces, allowing for low wear in multipurpose use (off-road, gravel) or heavily loaded vehicles. 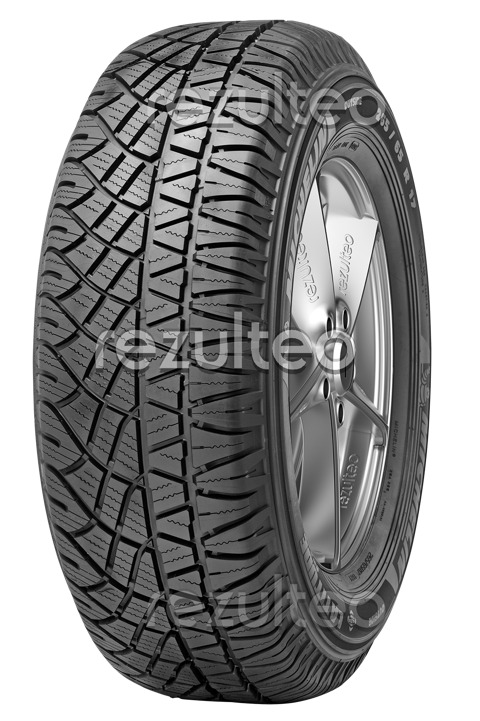 Summer tyre for off-road 4X4s.